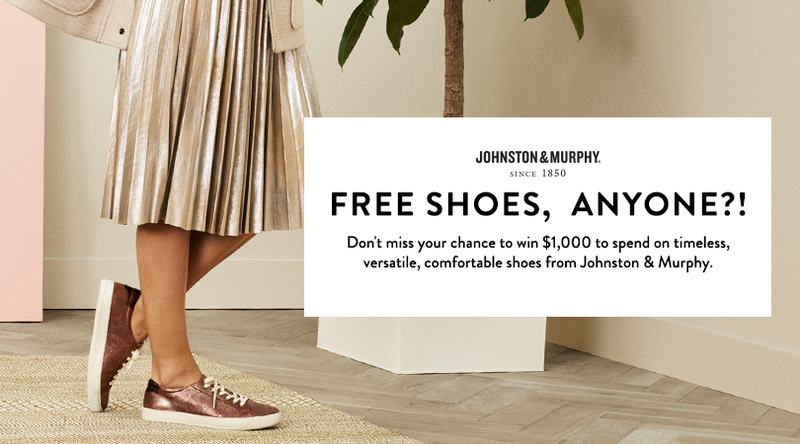 By entering your email, you agree to receive future emails from SHEfinds and Johnston & Murphy. NO P.O. boxes. Must be an address FedEx and UPS can ship to. This promotion is in no way sponsored, endorsed or administered by, or associated with Facebook. You are providing your information to SHEfinds & Johnston & Murphy and not to Facebook. The information you provide will only be used for upcoming sales & promotions. NO PURCHASE NECESSARY. SEE OFFICIAL RULES. 1 winner will be chosen at random and contacted via the email provided. Contest ends November 3rd, 2016. Good luck!